Light, sheer surface-refining fluid sends water-filled MoistureZome deep into sin, farther than water can penetrade on its own. Delivers continual bursts of moisture that lasts for hours. Keeps skin comfortably moist all day or all night. For an additional moisture boost, hydrating Herbs and Dexpanthenol fortify this ultra-light lotion. Dexpanthenol is the chirally correct form of proviatmin B5, is present in all living cells, and is essential for the manufacture of lipids and proteins. Dexpanthenol also acts as a super-moisturizer, rehydrating at a cellular level. And to complete the moisturizing process, Sodium Hyaluronate recharges skin's moisture levels by binding 1000 times its weight in water to the skin's surface, restoring comfort in seconds. Ultra-sheer barrier protectors instantly smooth even the roughtest complexion, refining texture and matting shine for hours. Delivers hours of hydration without clogging pores. Dermatologist-tested. Does not contain fragrance, mineral oil, lonolin, alcohol or color. Won't clog pores. 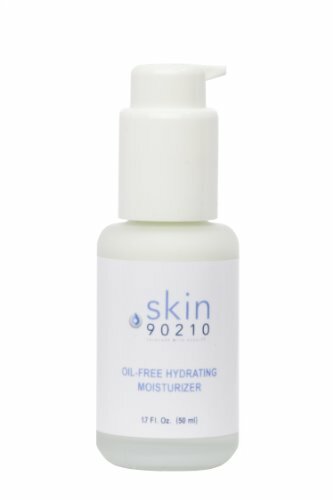 Skin 90210 Oil-Free Hydrating Moisturizer for Acne and Oily Skin 1.7 Fl. Oz. Light, sheer surface-refining fluid sends water-filled MoistureZomes deep into skin, farther than water can penetrate on its own. Delivers continual bursts of moisture that lasts for hours. Keeps skin comfortably moist all day or all night. For an additional moisture boost, hydrating Herbs and Dexpanthenol fortify this ultra-light lotion. Dexpanthenol is the chirally correct form of provitamin B5, is present in all living cells,and is essential for the manufacture of lipids and proteins (two biochemical groups that form skin). Dexpanthenol also acts as a super-moisturizer, rehydrating at a cellular level. 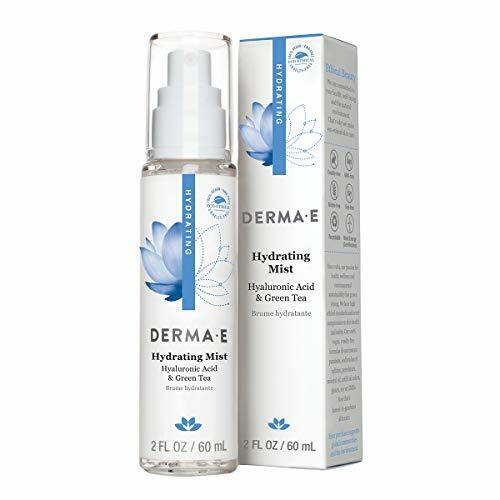 And to complete the moisturizing process, Sodium Hyaluronate recharges skin's moisture levels by binding 1000 times its weight in water to the skin's surface, restoring comfort in seconds. Ultra-sheer barrier protectors instantly smooth even the roughest complexion, refining texture and matting shine for hours. Delivers hours of hydration without clogging pores. Now paraben-free! Do you struggle with dry skin? 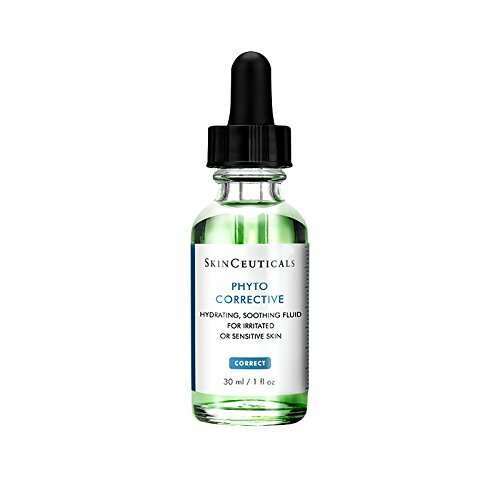 Hyaluronic acid provides deep moisturization, while minimizing fine lines and wrinkles. 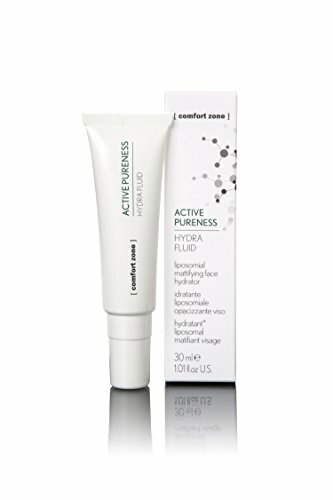 Comfort Zone Active Pureness Hydra Fluid 30 ml 1.01 fl.oz. Multitasking formula adapts to your skintone for flawless, invisible coverage and continuous hydration. 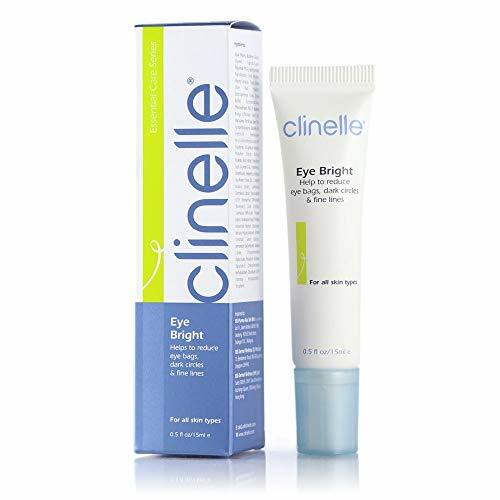 The complexion is left brighter, more youthful-looking, and shielded from damaging environmental effects. What's Inside; Chroma-Luminescent Technology is a novel molecule that helps to brighten the skin, leaving it healthy and glowing. Hydra-Extend provides instant, long term moisture retention and 72 hour hydration, reducing TEWL and strengthening skins barrier function. MicroBlot Technology is a built-in mattifier, with exceptional liquid absorbency, which targets oil to help eliminate shine. This unique micro-pore crystal structure has the ability to absorb liquid 5 times more than its own weight, leaving skin with a poreless looking demi-matte finish. Photonic Crystal Technology is a synergistic blend of color corrector, photo-lumininescent diamond and an optically transparent polymer. This blend of ingredients "offsets" wrinkles and other skin imperfections, subtly illuminating photo-luminescence. 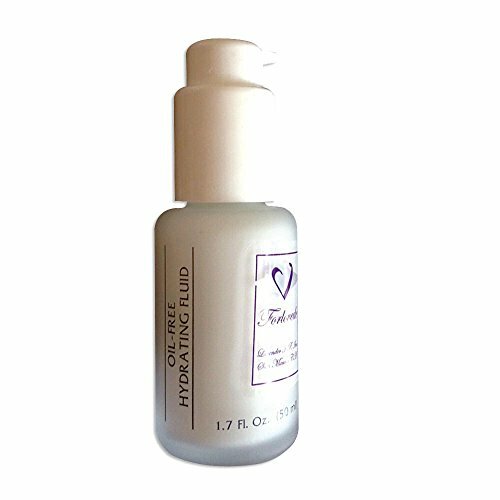 Want more Oil Free Hydrating Fluid similar ideas? Try to explore these searches: Nassau Bay, Elkay Pacemaker Bath Sinks, and Pumice Gel.